ARP's Alternator Bolts are super tough, nominally rated at 180,000 psi, designed to keep the alternator in place during operation. 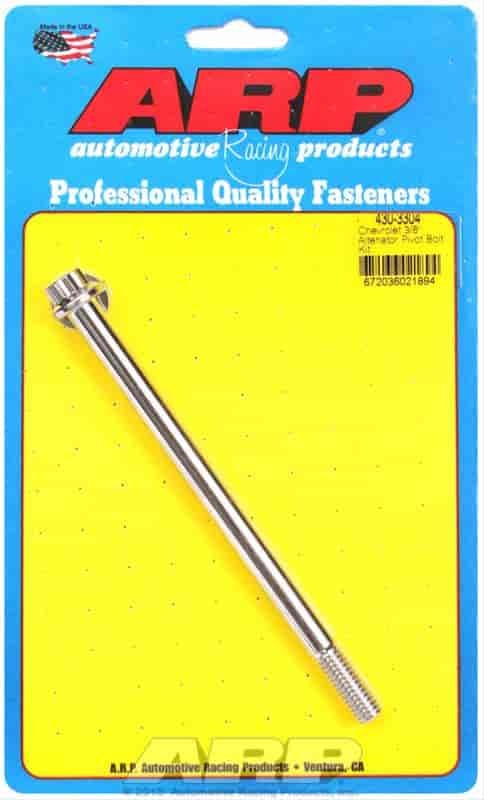 These bolts are avaialble in choice of chrome moly steel or polished stainless. The stainless has the added advantage of being rust and corrosion resistant. Does ARP 430-3304 fit your vehicle? 430-3304 - ARP Alternator Bolts is rated 5.0 out of 5 by 2. Rated 5 out of 5 by Conan62 from Looks great. Great price. I wire wheeled all my bolts. And now I cant find them. thank you for having the part that I need. I took out the AC.